"I hope that this will encourage Ukraine to continue on its path of democratic development." 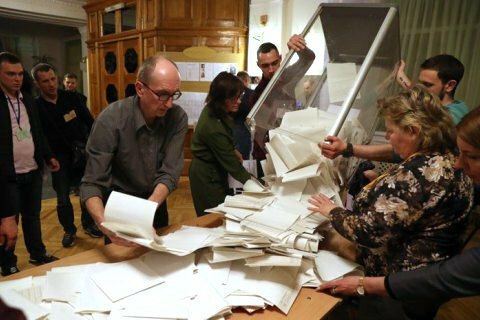 The first round of the presidential election in Ukraine was competitive and citizens had the opportunity to freely express their will, the OSCE PA Election Observation Mission in Ukraine has said, according to Interfax-Ukraine. Such conclusions were made public by the OSCE Special Coordinator, Honorary President of the OSCE Parliamentary Assembly Ilkka Kanerva during a joint press conference of representatives of the mission of international election observers in Ukraine consisting of representatives of the OSCE Office for Democratic Institutions and Human Rights (ODIHR), the OSCE Parliamentary Assembly, Parliamentary Assembly of the Council of Europe (PACE), the European Parliament (EP) and the NATO Parliamentary Assembly (NATO PA). "This presidential election was competitive. Voters had a broad choice and turned out in high numbers," OSCE Special Coordinator Ilkka Kanerva said. "Fundamental freedoms were generally respected. Candidates could campaign freely." "Election Day was assessed positively overall and paves the way to the second round," he quoted a statement of preliminary findings and conclusions by the International Election Observation Mission on Ukraine's March 31 presidential election. "My personal conclusion is that this competitive election has laid the groundwork for the vibrant second round. I hope that this will encourage Ukraine to continue on its path of democratic development at peace and security within its internationally recognized borders in our community of European values," he said. Kanerva paid attention to the fact that there were many international observers at the election, which helped minimize violations. He said the violations established during the day of voting, did not in general influence the result of the vote. He added that elections could not be organized in Crimea and areas of Ukraine not under Ukraine's control.